Eicher engines are well known for economics of performance & reliability. Remote Start & monitoring system. With an experience of more than 20 years, Vikas Generators has shown a remarkable growth over the period of time. We have risen as a trader and supplier of Rented & New Generators and Silent & Non Silent Generators of All Brands. 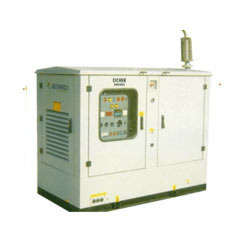 We also provide excellent Diesel Generator's Spare Parts & Diesel Generator AMC and related services. Our determined outlook to provide quality products has made us popular amongst our clients. Vikas Generators have proven its stake in the Market. Our Firm has incorporated latest technology machinery that assists in trading huge quantities in bare minimum time. We have a team of extremely proficient professionals who are expert in their respective area. With an astonishing warehousing facility we are able to stock up our products in a methodical manner. Our craving for high precision leads us to attain total client satisfaction.